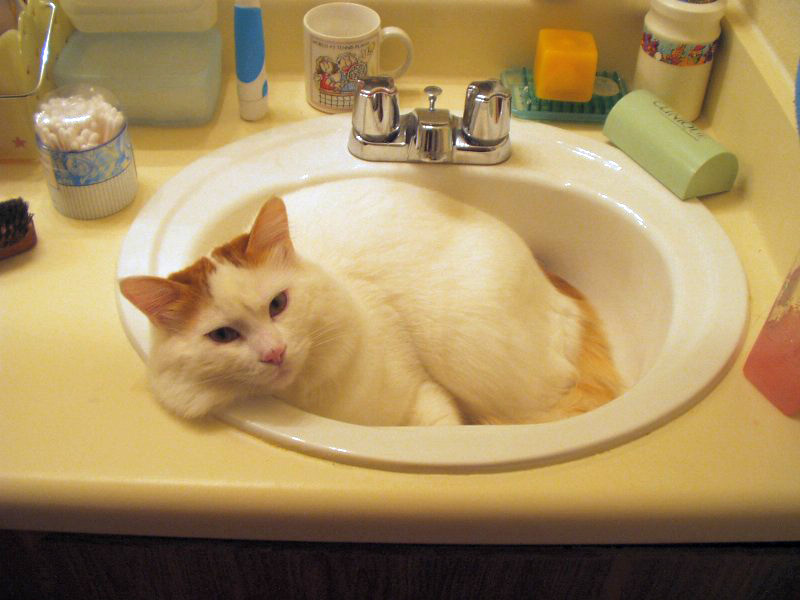 You may think that all cats hate water but the gorgeous Turkish Van, or swimming cat as it is sometimes nicknamed, is sure to convince you otherwise. This athletic, muscular and highly active cat has a natural affinity for water. In fact, these super cute felines will feel right at home taking a dip with you in the bath or pool! The Turkish Van (or Van for short) is a naturally occurring breed and one of the oldest domesticated cats on the planet. It is said to have originated in the Lake Van region of Turkey, and according to tradition, was a successful ratter on Noah’s Ark. Although the breed has an ancient lineage, the Van is a relative newcomer to the western world, first arriving in England in 1955 and in the United States in the early 1980s. Turkish Vans are white with distinctive reddish/auburn markings on their tails and ears. Variations with darker markings or no markings at all are now common but Vans originally only had auburn markings. They have either blue or amber eyes, or quite strikingly, sometimes one of each. The Van's fluffy cashmere-like coat is naturally water resistant as a result of its silky texture and the fact it has no undercoat. The Turkish Van is a sturdy breed with good healthy genes. According to the Animal Planet web site, overfeeding should be avoided, as they can be prone to obesity. To keep the curious and water-loving Van safe, it is recommended that they are never left unattended near a full sink or bath and that all toilet seats around the home are kept closed.